I love novellas, that's why I mostly publish the Noah Milano stories in that format. It gives you all the good stuff, without the fluff. This one's no exception. Former NYPD cop Tommy Ruzzo moved to Florida where he works as a security guy for a retirement community. 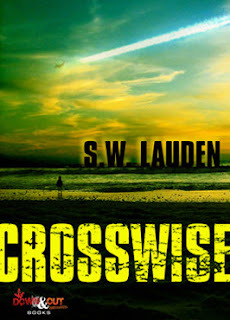 When dead bodies start to turn up there Ruzzo investigates and finds some hints the murders are connected to his life in New York. Crozzword puzzles in the local paper serve as clues and of course as the basis of the title. 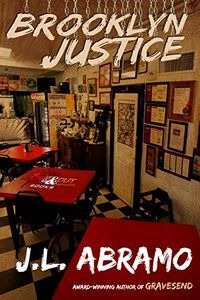 Like a novella should be the story is fast-paced and a bit more pulp-oriented than Lauden's fantastic punkrock / PI novel Bad Citizen Corporation. The story is enjoyable but lacks that little bit of extra originality of that book's premise. Ruzzo is however, a nice flawed character and the setting and characters would make an excellent Tarantino movie. 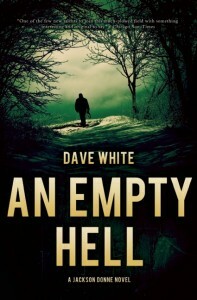 An Empty Hell (Jackson Donne / Matt Herrick) by Dave White. In a stroke of brilliance Dave White introduces his ''other'' PI, Matt Herrick (first seen here) to his main man Jackson Donne. The result is great! A lot of bad people are looking for ex-PI, ex-cop Jackson Donne because men who used to be in his police unit are showing up dead. Potential victim Alex Robinson hires Matt Herrick, part-time PI to find Donne. 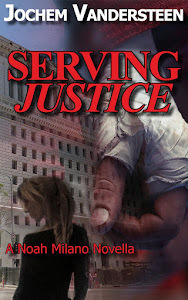 The story changes POV mainly from Herrick to Donne with some interesting flashbacks. There's a lot of movement in the story, and at times it gets a bit too much of a commercial thriller for me in scope and the ''evil supervillain'' qualities of the bad guys, but it never ever gets dull. I love Herrick, basketball coach / PI who has the war trauma to give him some interesting backstory and how he is so different from Donne who is a lot more grizzled. I remember reading Dave White's first short story years ago and it is amazing how good an author he has become, breathing life into the PI genre like Dennis Lehane did years ago with Gone Baby Gone.